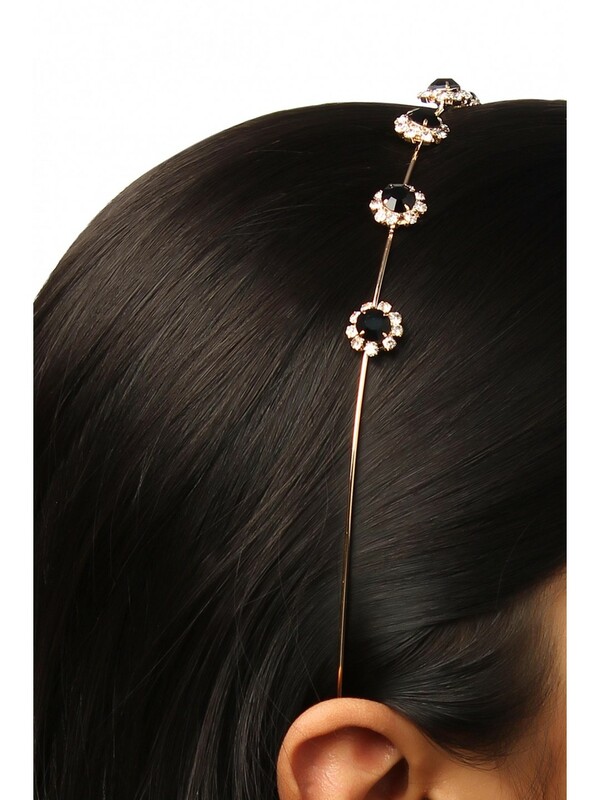 This unique beautiful hairband will stand out with anything you wear. 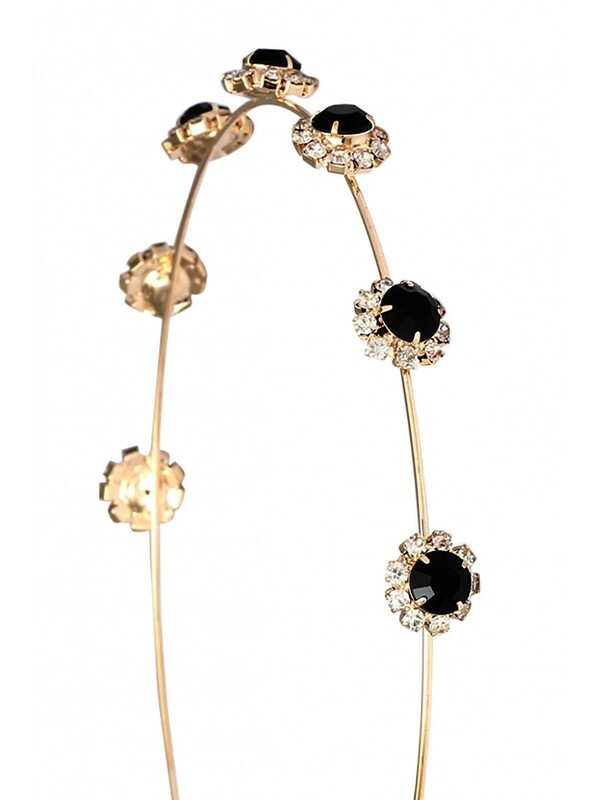 Accessorize with: A full length solid coloured gown with a pair of gold heels and a shimmer gold clutch will get you ready for a cocktail evening. 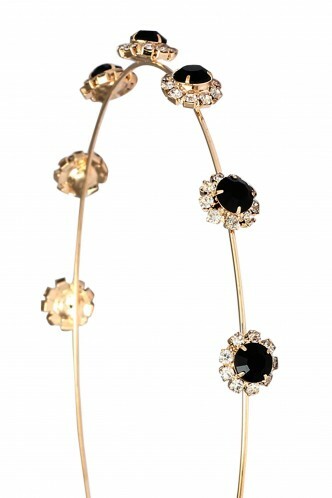 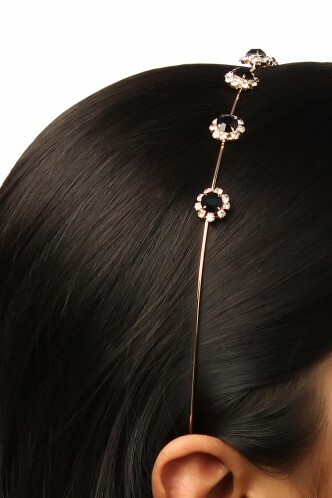 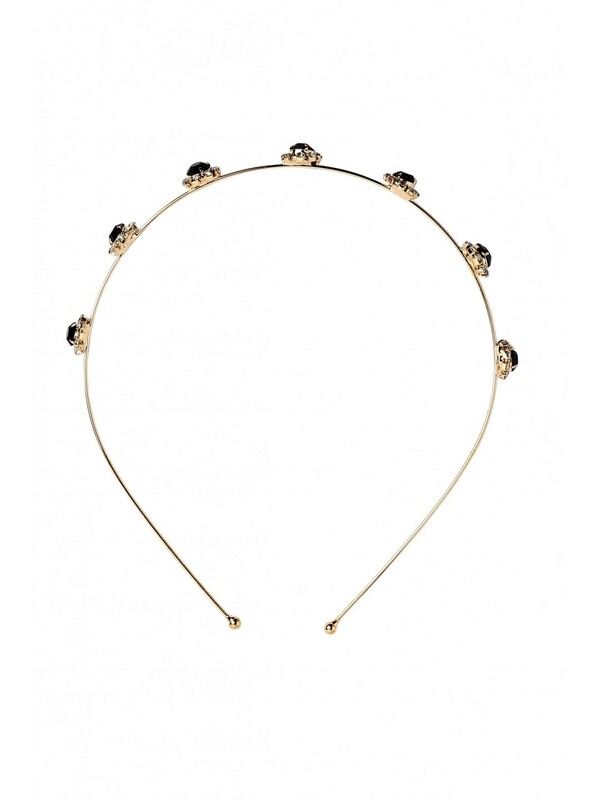 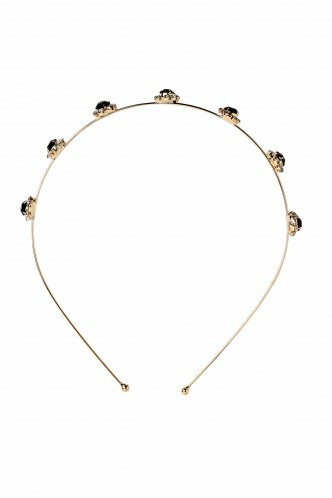 Metal hairband with zircons and stone encased metal flower detailing.